Outpatient treatment for drug or alcohol abuse or addiction is most simply described as treatment that allows a person to participate in the program and receive treatment while still living a mostly normal daily life at home. In most outpatient treatment programs, the person goes to the treatment center to receive treatment each day or several times a week and then returns home each night. This enables the person to continue attending work or school and maintain a normal daily routine while receiving treatment. There are many degrees of outpatient treatment, ranging from simple drug abuse education to full, comprehensive treatment programs that include everything from post-detox therapy to practical counseling to 12-Step group participation and more. There are many types of treatment programs for drug addiction. With all the options, sometimes it can be difficult to figure out what is the best type of treatment for a particular individual. In particular, when comparing treatment programs, it can be a challenge to figure out whether outpatient treatment is a better option than inpatient treatment. In order to have the greatest chance of achieving long-term abstinence and recovery, it is important for treatment to be customized to the particular individual’s situation, challenges, and needs. While residential programs are most recommended by research and by treatment experts, there is a large demand for outpatient services, and they can be appropriate in some cases. Knowing when outpatient treatment is appropriate and what to look for in an outpatient treatment program can help a person who is struggling with drug or alcohol abuse or addiction to understand the most appropriate treatment type and facility to choose. Finding an outpatient program can be overwhelming. There are a large number of these types of programs, and it can be difficult to know which type of program is best for a particular person or situation. A good start is to work with a professional or a specialized treatment center to determine what works best for the specific individual’s needs. Because no one treatment works for everyone, the National Institute on Drug Abuse asserts that the type of treatment most likely to result in long-term recovery is a comprehensive program that is customized to suit an individual’s specific treatment needs. This is most easily found in a residential or inpatient treatment program; however, there are outpatient programs that can meet this requirement for effective substance abuse treatment. For this reason, it is important to work with substance abuse treatment professionals to find the appropriate type and level of treatment for the individual. These specialists can help the person or loved ones determine whether inpatient or outpatient treatment is appropriate and what level of treatment is required, as well as what elements of treatment will be most helpful for the individual’s unique circumstances. On the other hand, if a person’s environment outside of treatment offers a high level of temptation to return to substance use, cravings are particularly high, motivation to complete treatment is low, or relapse has been an issue before, a person is less likely to benefit from outpatient treatment. Traditional outpatient treatment: This is the least intensive form of treatment. It generally involves less than nine hours per week of primarily counseling or therapy and some other services while the client lives at home and continues to work or attend school. It also can involve participation in a mutual self-help group like a 12-Step program. This type of treatment is for those who are at minimal risk for relapse and require little supervision during treatment. Intensive outpatient treatment: Also known as partial hospitalization, intensive outpatient programs are nine or more hours per week, with treatment participation for as much as eight hours per day and on weekends. This type of treatment can involve more types of services, including medical maintenance, various kinds of individual and group therapy, family therapy, and motivational programs.Intensive outpatient treatment is used for a variety of reasons, including as a more thorough start to a traditional outpatient therapy program, an aftercare program for those who need help transitioning from residential treatment to daily life at home, or a treatment modality in and of itself. It is useful for those who don’t need as much supervision as a residential program, but who also need a higher level of treatment or wider variety of therapies than standard outpatient care provides. Residential or inpatient treatment: The offering that can often provide the widest range of customizable therapies, residential treatment provides room and board while also treating substance abuse problems. These programs benefit clients by providing a high level of supervision as well as isolation from access to the substances of abuse, which make it easier for the client to avoid relapse during treatment. These programs often provide detox as well as treatment and follow-up care, or aftercare, all in the same place. Because of this, residential treatment provides consistency of treatment and comfort that can make a person more likely to stay in treatment for the amount of time required to effect the needed changes.This type of program is best for people who have long-term or severe addiction issues, who need to be removed from an environment that encourages relapse or access to substances of abuse, who have co-occurring disorders, and who otherwise need a higher degree of supervision. Often, an outpatient treatment program is a good follow-up treatment to residential care to support the transition from the isolation of the treatment center to the home environment. Inpatient hospitalization: This type of treatment offers round-the-clock care for people who need the highest level of supervision, generally on more of an emergency basis. This kind of treatment includes medical detox, overdose care, treatment of severe withdrawal symptoms and syndromes, and other urgent care needs. The effectiveness of a given treatment type will depend on the individual’s specific needs. For this reason, the determination of whether inpatient or outpatient treatment is warranted for a particular individual must be made based on that individual’s needs. Who Is Qualified to Provide Treatment at a Facility? Anyone who is providing treatment for drug abuse through specialty facilities, whether through inpatient or outpatient programs, should be certified as a substance abuse counselor. This is a career field that requires years of education and training, and qualifies a person to determine which therapies to use and how to apply them to help people manage substance use disorders. Any medical maintenance, or medication-assisted treatment, provided at a treatment facility should be overseen by a practicing physician or someone otherwise authorized by state or local authorities to provide treatment. Similarly, medical detox should be overseen by a doctor or other medical professional who is trained in managing withdrawal symptoms from various substances of abuse. There are more than 14,500 treatment centers that specialize in substance abuse treatment in the US. Of these, 80-82 percent provide outpatient treatment. Only 45 percent of treatment facilities provide intensive outpatient treatment programs. More than 90 percent of people in treatment are in outpatient programs; however, fewer than 12 percent are receiving intensive outpatient treatment, which is more likely to result in long-term positive outcomes. Under certain circumstances, outpatient treatment can be as beneficial as inpatient treatment. For example, in a study of parolees who had treatment in prison and then got aftercare in community treatment centers, using outpatient treatment as aftercare results in positive outcomes similar to those for inpatient treatment. In this particular case, length of treatment is more important; people who stayed in treatment longer were more likely to have positive outcomes. A study of people who received outpatient treatment showed that nearly a third relapsed during treatment, and 16 percent relapsed within the crucial 12 months after treatment. This is a risk inherent in outpatient treatment that is less likely in inpatient treatment. Intensive outpatient treatment has been shown to provide positive outcomes. In one study, 43 percent of people who completed an intensive outpatient program remained abstinent for at least three years after treatment. Again, a major determinant of this outcome was the length of time the people stayed in treatment; longer treatment periods resulted in longer-term recovery from substance abuse. How does an outpatient program work? There are a variety of different types of outpatient treatment programs, and they sometimes work differently depending on the types of services offered. Generally, an outpatient program provides treatment – most often in the form of group or individual counseling, education, and medical treatment if needed – for a period of time during the day. The person is then able to go home for the night and go to work or school as needed. Treatment periods can be anything from six weeks to 90 days or more, depending on the person’s needs. As demonstrated by a number of studies, the longer a person stays in treatment, the more likely it is that long-term recovery will result. For this reason, using outpatient treatment as a form of aftercare following inpatient treatment can result in even better rates of abstinence and recovery after treatment. What are the limitations of outpatient treatment? There are a number of challenges and limitations inherent in outpatient treatment. The biggest is that a person undergoing outpatient treatment is more likely to have continued access to the substance of abuse when not at the treatment facility. This results in a high potential of relapse during treatment, and it increases the likelihood that the person will drop out of treatment. Because staying in treatment and length of treatment are some of the most important factors in long-term recovery, this potential can be dangerous. For this reason, a person with more intense cravings, an environment that increases the likelihood of access to the drug of abuse, or a previous history of relapse is less likely to have a positive outcome in an outpatient program. Another limitation of outpatient treatment is that it may be harder to get the comprehensive range of services needed for treatment that is required for many people. For example, a person with a co-occurring mental health disorder may not be able to get the expertise needed to effectively treat both the addiction disorder and the co-occurring disorder through outpatient treatment. Many outpatient programs don’t have the resources to make sure an expert in co-occurring disorders is part of the program. When is it better to choose an inpatient program? Because these indicators make it more likely that a person will relapse during treatment, these individuals require more consistent monitoring during treatment to prevent relapse and increase the likelihood that they will complete treatment and achieve long-term recovery. What is a typical day in outpatient treatment like? The structure might include having the support group and education sessions back to back two days or nights per week, with the other sessions all taking place on a third day or night. Some intensive programs involve more time in treatment – up to eight hours per day, plus weekends. In order to provide the greatest chance for recovery and to avoid relapse, the program should involve as much time as necessary for the specific individual to get the full spectrum of treatment needed, including treatment for any co-occurring mental health disorders or physical illness or disease that may complicate drug abuse symptoms. What’s the difference between traditional outpatient and an IOP? Intensive programs (also called partial hospitalization) usually require treatment time of more than nine hours per week, with as much as eight hours per day spent in treatment. These programs usually include weekend treatment as well. They often include a wider range of treatment types that can be customized to meet the individual’s treatment needs, including individual, group, and motivational therapies, medical support, and aftercare. Traditional outpatient treatment, on the other hand, usually involves less than nine hours per week of treatment. This is typically offered in the form of individual, group, or family therapy offered once or twice weekly, along with some other limited services. Does insurance cover outpatient treatment? Some insurance plans do cover outpatient treatment. Medicare insurance and public insurance through the Affordable Care Act are required to provide addiction treatment coverage. Medicare Part B coverage specifically provides potential coverage for partial hospitalization or outpatient treatment. Other employer-provided or private insurance plans may also cover treatment to some degree. The specialists at an addiction treatment center are often able to help with figuring out what coverage is available through a specific insurance plan and how it applies to the individual’s specific circumstances. Often, the cost of rehab is small compared to the cost of the drug abuse or addiction problem. Working with the rehab center to find the best payment options for the individual’s particular circumstances can help get the right treatment that will prevent future financial issues based on substance abuse problems. Is outpatient treatment ideal for those with co-occurring disorders? As described above, many outpatient programs that have limited treatment types are unable to provide the expertise needed to treat co-occurring disorders, such as depression, anxiety, or post-traumatic stress disorder. Sometimes, these clinics or organizations do not have onsite staff who are trained in treating co-occurring disorders. 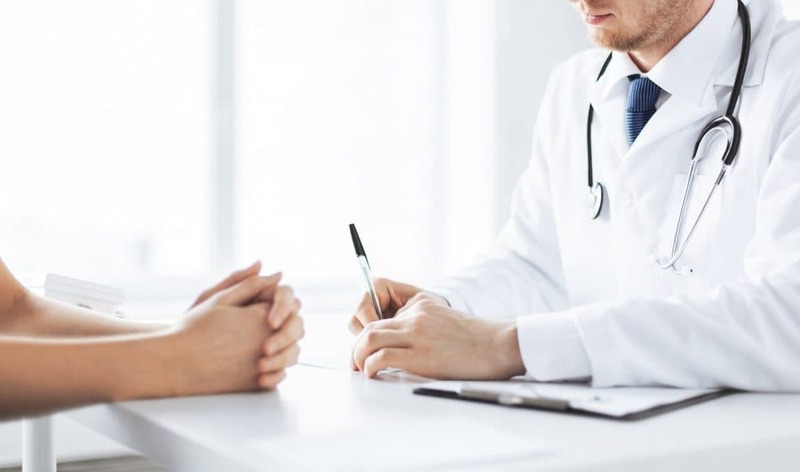 If a person is dealing with co-occurring disorders, it is particularly important to find a treatment program that specializes in treatment for those with dual diagnoses. 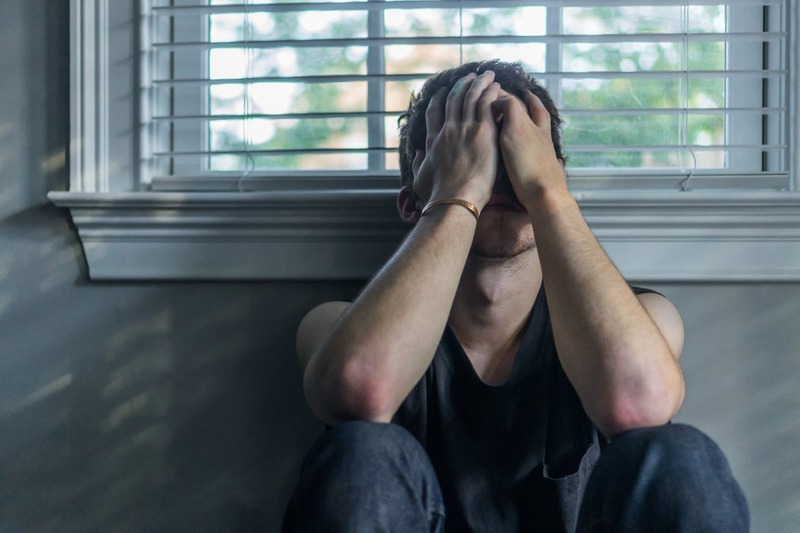 Because co-occurring disorders can often complicate the symptoms of drug abuse or addiction and increase the chances for relapse, getting the expertise needed to make sure that both or all disorders are being treated at the same time can increase the potential for long-term recovery on all fronts.